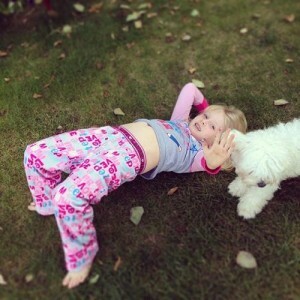 Welcome our monthly Kids Love Yoga (#kidsloveyoga) series. 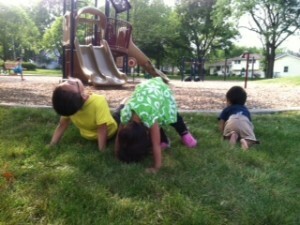 Each month, we feature a new yoga pose, along with pictures of children from around the world practicing the pose. Our most popular page is the list of kids yoga poses, so we thought it would be fun to practice a different yoga pose together each month. 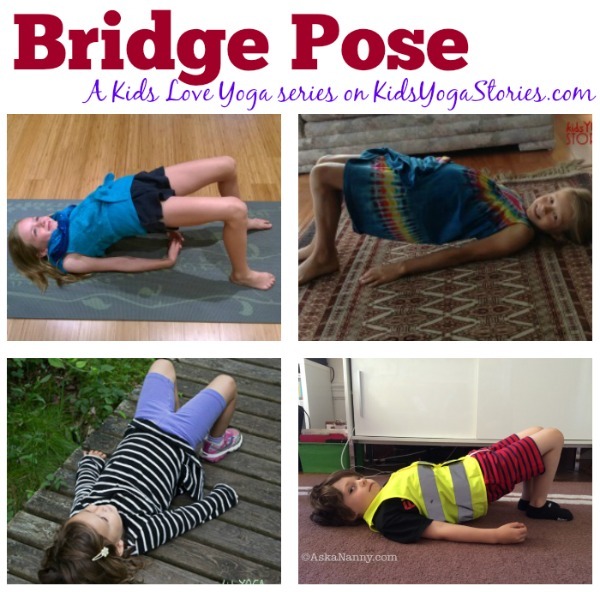 This month’s focus pose is Bridge Pose. At the end of our forest walk over the weekend, my husband, my daughter, and I stopped at a bridge to look at lily pads, birds, turtles, and fish. After having our lunch, we lazed around on the platform, and my daughter popped up into a Bridge Pose. 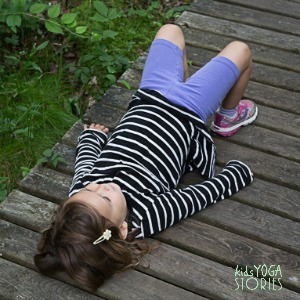 What a cool way to mimic her surroundings through yoga poses for kids! Stretches the spine, chest, shoulders, and hips. Strengthens the back and leg muscles. Helps to awaken the body. You could pretend to be: a bridge, ramp, or boardwalk.What else? Lie on your back with your knees bent and your feet flat on the ground, with your toes pointing straight forward. Check that your knees are hip width apart. Rest your arms down alongside your body with your palms facing down. See if your fingers can touch the back of your heels. Then tuck your chin into your chest, and as you inhale, lift your buttocks and flat back to create a bridge. You could then interlock your hands, squeeze your shoulder blades, and roll up onto your shoulders. Hold for three to five breaths. 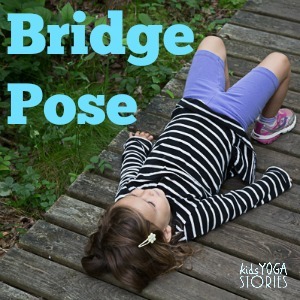 Come out of Bridge Pose on an exhale, slowly rolling your spine down to the ground. Then take your feet out wide, bring your knees together, place your hands on your belly, and take a few deep breaths. 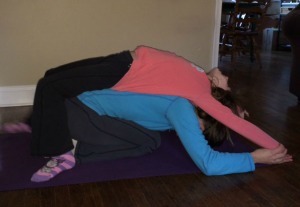 When you are in Bridge Pose, you could place a block under your sacrum to enjoy Supported Bridge Pose. Open your chest and roll onto your shoulders. Rest and breathe. Or you could bring your hands flat behind you, on either side of your ears, and on an inhale, extend slowly up into a Wheel Pose. To come down, release slowly on an exhale, making sure to tuck your chin into your chest. 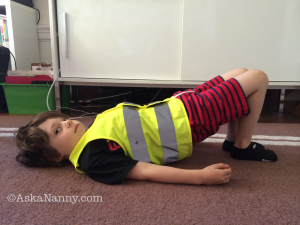 Then once again, take a few deep breaths in a resting pose. 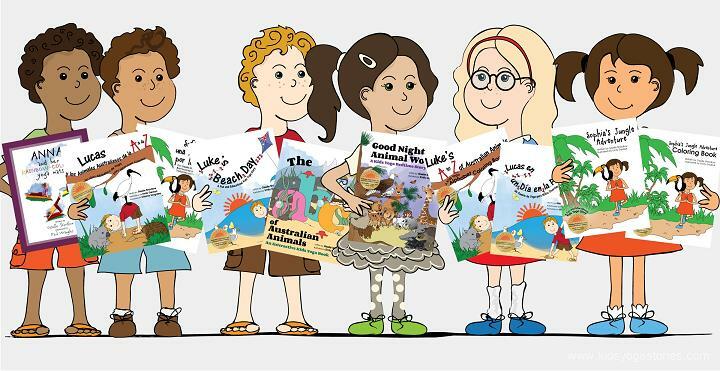 Sign up for our weekly Kids Yoga Stories newsletter (simply add your email address in the box at the top of the page) to find out the next pose in the Kids Love Yoga series.